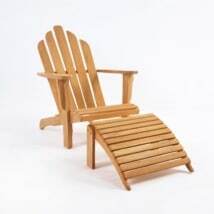 When it comes to comfort and relaxation, the Zambezi Wicker Club Chair and Ottoman have you covered. 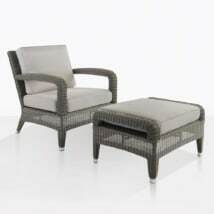 This wicker club chair is deep and wide allowing you to sink in and sit back while you enjoy your outdoor garden or other serene space. Put your feet up on the ample ottoman for the fully extended relaxation experience. 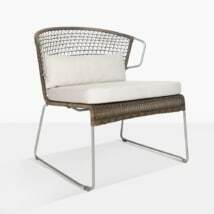 This wicker collection is unique because it combines the classic look of wicker with a modern structure. The sleek lines and subtle curves are calming and inviting. The white wicker and taupe cushions go together beautifully and make it easy to accessorize with colorful throw pillows. The Sunbrella® cushions are plush and durable for the outside. These cushions come free with the purchase of the wicker arm chair and ottoman. The frame is made with powder coated aluminum so the structure is strong and sturdy. 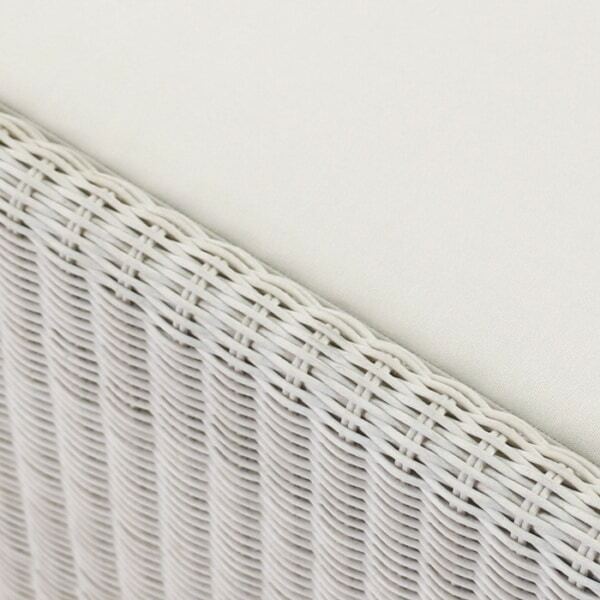 The Ecolene® wicker is durable and insensitive to temperature differences but still has a natural look and feel. Why not enjoy outdoor living and be comfortable? Make your outdoor space an extension of your indoor décor with the entire Zambezi wicker collection that includes a sofa, coffee table and benches. 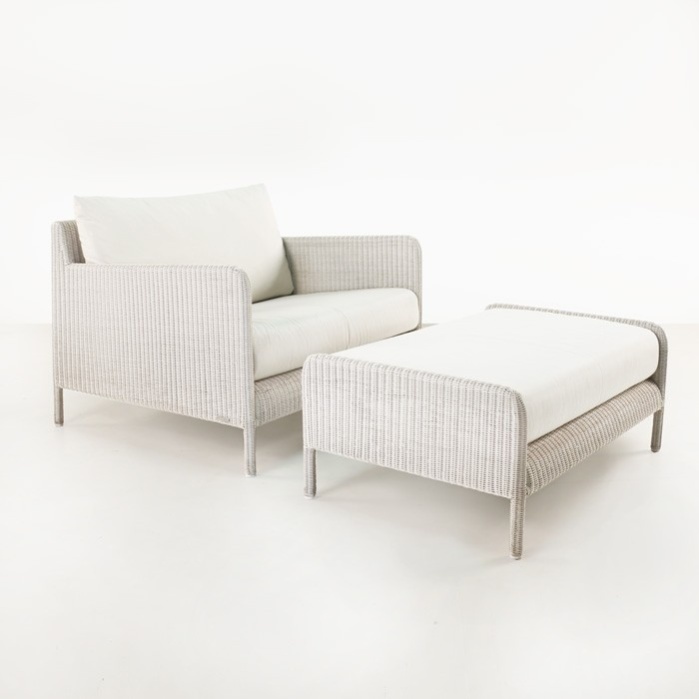 This wicker club chair and ottoman are shown with white wicker and comes with a taupe cushion only. This collection comes fully assembled and is available for white glove delivery service. Call us today with any questions that you have. Shown here in Chalk Fiber and Sunbrella® Canvas cushions. Also available in Pebble wicker, with Sunbrella® Taupe cushions.